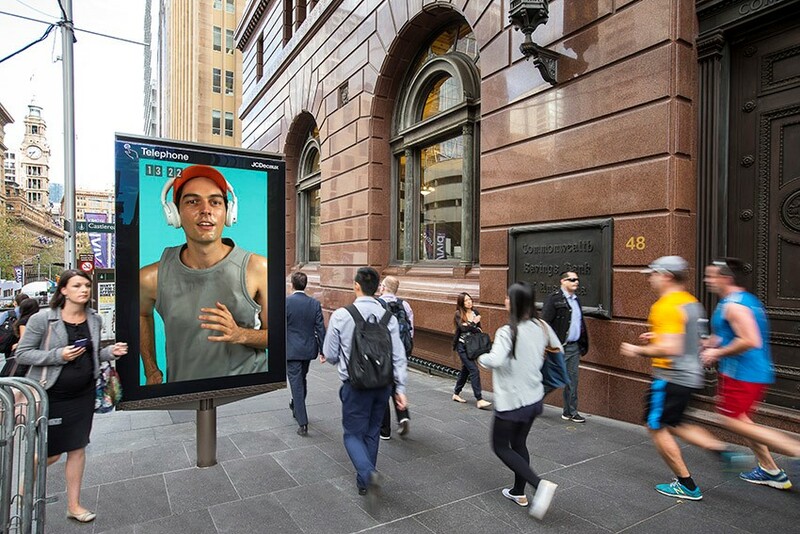 World’s largest out of home advertising company JCDecaux has commenced its premium Digital Citylight screen roll-out in Sydney’s CBD with 24 hour responsive campaign, It’s on Sydney. 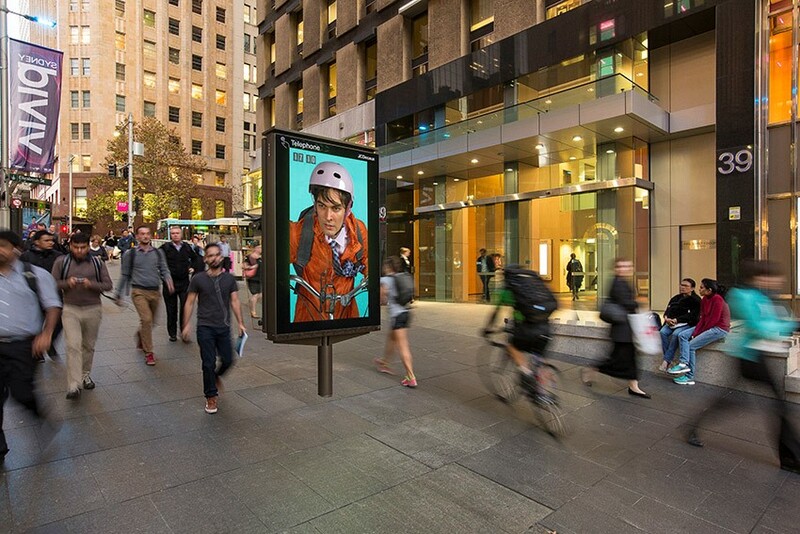 Take a walk through Martin Place and some of the high pedestrian thoroughfares and precincts of Sydney’s CBD to experience the start of JCDecaux’s Digital revolution. An 84 inch Ultra HD Digital Citylight screens are now in operation. 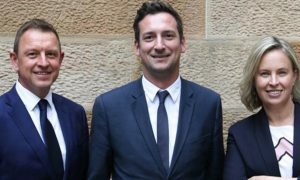 This is phase one of a much wider scale transformation, with the company unveiling roll-out plans for over 100 panels in Sydney’s CBD and beyond. The new digital panels are part of JCDecaux’s ongoing commitment to enriching Australia’s urban environments. “We are steadfast in our strategy to deliver to Sydney, Melbourne and Brisbane world-class street furniture infrastructure, and to the brands of Australia, unparalleled marketing solutions in the very best locations. 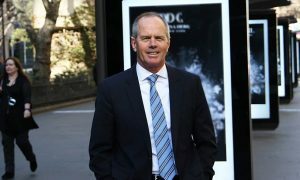 At 84 inches, the screens are the largest of their kind in Australia,” said Steve O’Connor, chief executive officer of JCDecaux. 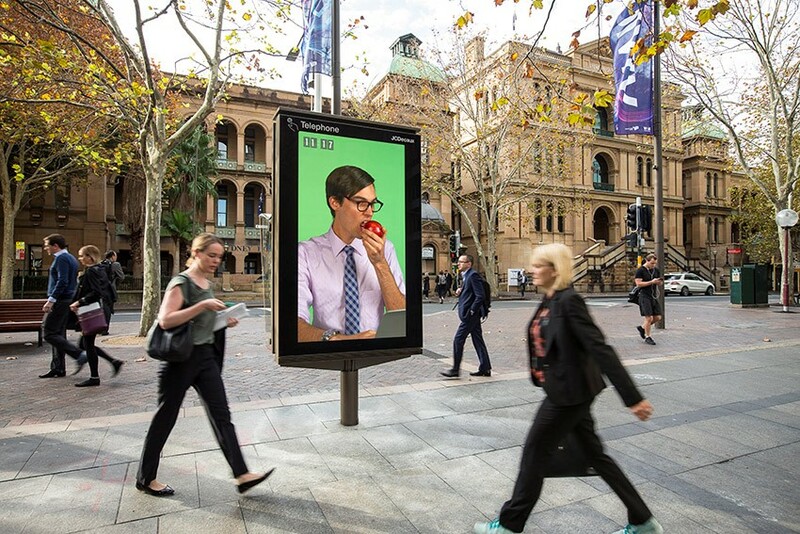 JCDecaux worked with creative team Alphabet Studio to tell a unique creative story of a-day-in-the- life of a Sydneysider across more than 5,700 images, evolving every 10 seconds. “It’s literally a 24 hour responsive content campaign. 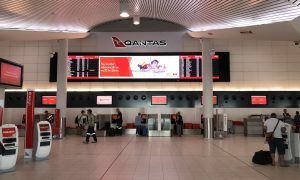 As Sydneysiders woke on Monday to see the first of our screens ‘switched on’, the network connects to a live data feed and a 24 hour clock begins ticking. The changing time of day then prompts a new image to display every ten seconds. So, as we become part of the City’s day, for 24 hours we told a familiar story – the day in the life of our audience. It was our way of saying ‘Hello’ Sydney’,” said Essie Wake, marketing director of JCDecaux. Alphabet Studio art director Paul Clark told how A Day in the Life of Sydney was created. “The creative is essentially a 24hour stop motion animation, reflecting (as closely as possible) in real time the roll out of a typical day. “By developing a character who actually lives in the JCDecaux Citylight network we had the opportunity to flex a bunch of creative muscles. Sydney gets to share the journey of his day – up close and personal. We watch him shave. He takes us to work on his bike. As the day comes to an end, he invites us on a date and we go dancing before retiring to bed for a dream filled evening,” said Clark. JCDecaux is hoping that advertisers will start to explore and push new creative opportunities. “Dynamic by Default” is their goal, and with the network underpinned by rich audience and location intelligence as well as next-level content management software, the scope for smarter geo-targeted, responsive integration within campaigns is enormous. To see the day unfold, hit play on the video below.